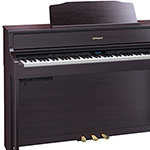 AC-RP501R-CR Compact in size, big on sound - The Roland RP501R in Rosewood is a stunning piano with SuperNatural piano sounds, incredible piano touch keys and now with built-in bluetooth. Finance Available. 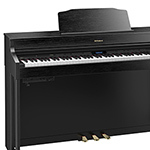 AC-RP501R-CB Compact in size, big on sound - The Roland RP501R in black is a stunning piano with SuperNatural piano sounds, incredible piano touch keys and now with built-in bluetooth. Finance Available. 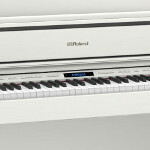 Roland's quest to build the ultimate electronic piano started soon after the company was founded in 1972. Back then, much of the technology didn't exist so Roland had to invent it. 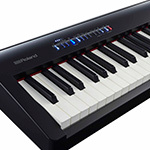 Early highlights included developing Japan's first all-electronic combo piano, the world's first touch-sensitive keyboard, and even co-developing the MIDI language that allows all electronic musical instruments to talk to each other. 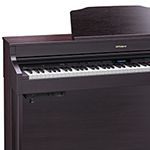 All the while, we have refined the sound and touch to satisfy the stage and practice needs of world-class pianists. 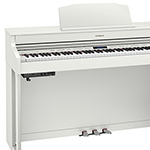 We also strive to design pianos that look as good as they sound; from classically-styled grand and upright pianos, to contemporary pianos with a stylish flat-top cabinet or a cutting-edge metallic body. Even though there is no end to mastering the art of piano making, we're excited to see what lies ahead. In this era, oscillation of the tone/bar and lead with electricity was the mainstream in electronic piano technology, and the introduction of the all-electronic, oscillation-based piano engine was a big leap forward. 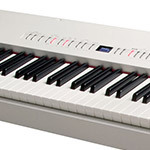 The touch-sensitive keyboard - one that senses playing velocities from soft to hard - is standard technology in today's digital pianos. 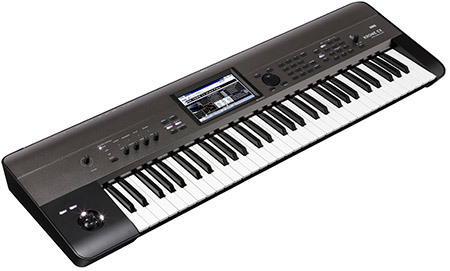 However, in the early days of electronic piano technology, it was a groundbreaking advancement. 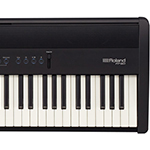 1983 - Roland co-developed the MIDI specification, which enabled electronic musical instruments from different manufacturers to communicate with each other. 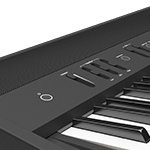 The RD-1000 was the most advanced digital piano of the time, built around Roland's advanced SA (Structured Adaptive) technology for a more authentic piano sound. 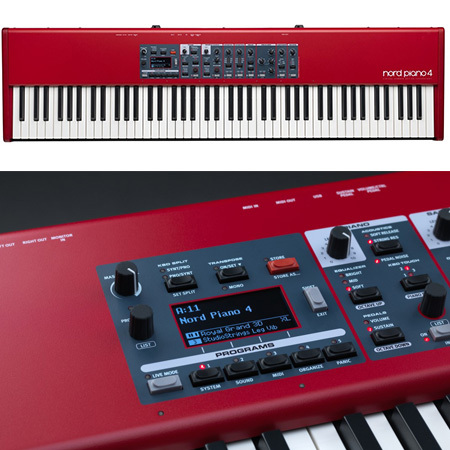 Just a year later, this pro-focused technology was also available in Roland's home pianos, so you could enjoy the same piano sound used by the world-famous artists who made the music you grew up with. It's a tradition that continues to this day with our current RD stage pianos. 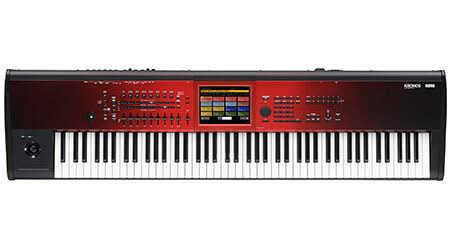 Roland brings its advanced SA technology to the home market. The fashionable red/white/gray color scheme was an instant success, as was the hammer-action keyboard. Incorporating a key mechanism with only a weight hammer and no springs, this keyboard's feel rivaled the natural touch of an acoustic piano. 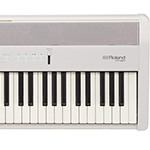 This instrument combined the compact size of digital piano electronics with the majestic and elegant look of an acoustic grand. 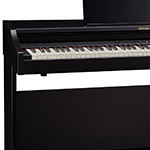 The groundbreaking DigiScore feature introduced a new way of practicing the piano, with a notation display (with automatic page turning) for the built-in piano songs, commercial music data, and song lyrics. It also displayed the user's playing as notation in real time. With a depth of just 30 cm and a flat top with the lid closed, this simple and elegant piano instantly became a big hit. 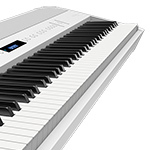 Roland reinvents piano technology with the V-Piano, a modeling-based digital instrument that uses no sampling whatsoever. 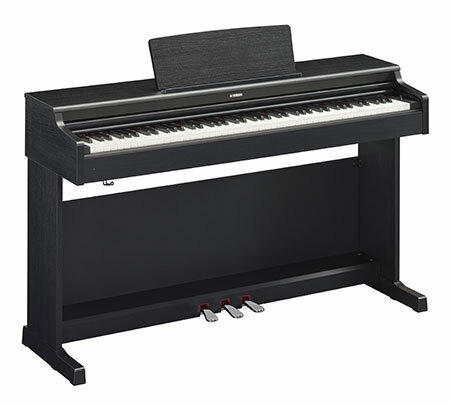 With its groundbreaking �living� piano engine, the V-Piano is able to create the sounds of nearly any piano, both real and imagined. 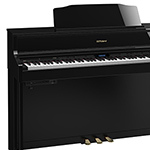 From the sound to the keyboard to the tall upright cabinet housing a remarkable eight-speaker, multi-channel sound system, the LX-17 is a piano crafted for the connoisseur. With a brilliant mirror-like sheen and graceful design, this gorgeous instrument brings the majestic look of a high-end acoustic piano to your home.